Kid-safe social content platform PopJam, dedicated to the under-13 audience, has gained over 1 million registered users and 230 million engagements in Australia and Vietnam, in just 8 months. PopJam’s curated content has rapidly built a loyal and enthusiastic following with kids, as evidenced by above-expected engagements measured in hearts, comments, followers, and creations. 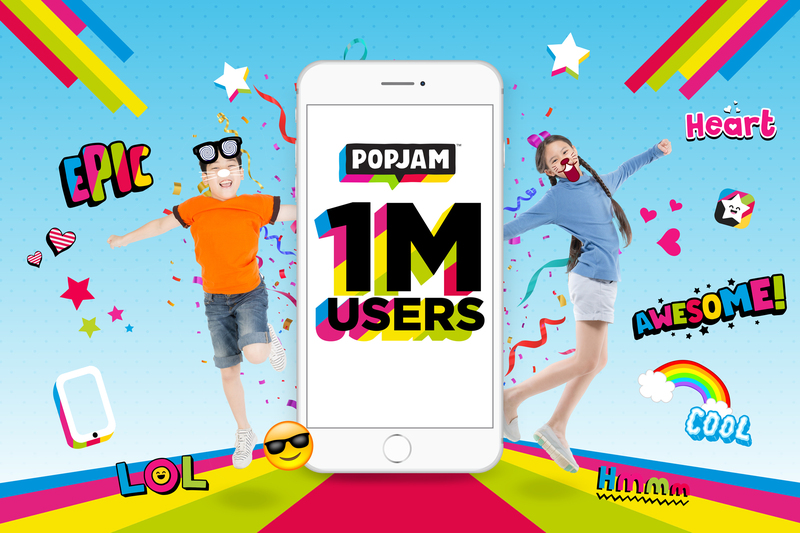 With 1 million registered users, 230 million total engagements, 20% monthly growth, over 165 entertainment channels and 5 million kids’ creations to date, PopJam has quickly become the market leader in kid-safe social media in APAC. With the rapid decline in kids’ TV consumption and an explosion in digital content, PopJam was created to offer a safe and engaging environment for the under-13 audience to create, play, discover and engage with content and content creators. PopJam is used by leading local and global content creators, top kids brands and entertainment companies (including Disney, Hasbro, Nintendo, Penguin, JoJo Siwa, Princess Banh Bao, Ca Chua Do, Hatchimals, and Bloomsbury) to engage directly with the under-13 audience as a kid-safe alternative to adult-oriented social media platforms such as Facebook and Instagram. With a wealth of digital creative tools to make their own artwork, stories and characters, as well as rich content from curated videos to games, quizzes, puzzles and challenges, kids can enjoy an immersive experience safely. Engagement has also been boosted by the TotallyAwesome Squad channel, an incubator for aspiring young online content creators in Australia. Producing fresh and unique custom content for PopJam, the TotallyAwesome Squad is a handpicked club of content creators who inspire others to create, express and share their ideas on hot topics such as the World Cup. Driven by its success in Australia, TotallyAwesome Squad will launch in Southeast Asia in the coming month. Meeting the highest global standards in protecting kids’ privacy, PopJam is COPPA and GDPR compliant: private messaging, the sharing of personally-identifying photos, real names or locations are not permitted on the platform. Additionally, all content is moderated 24/7 by both industry-leading AI and an experienced human team to ensure it is 100% appropriate for kids. “We’re very proud of the huge engagement PopJam has achieved in such a short time since launch. The uptake amongst our target audience is already well above our expectations, showing incredible potential to continue to grow amongst kids, content producers and brands throughout the region.” says TotallyAwesome’s Commercial Director for the Asia-Pacific region Jeremy Carr. PopJam is available at PopJam.com, on iTunes and Google Play.